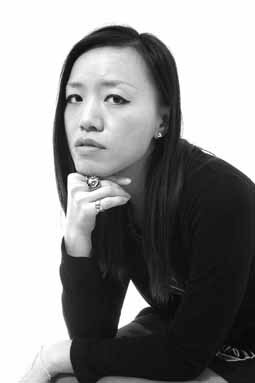 Yolanda Chiu, MFA Jewelry and Metal Art, was born and grew up in Taipei, Taiwan. Before studying at in the Academy of Art University, she worked as jeweler and graphic designer in Taiwan and founded her private label Yolanda C Studio. Her collection of acrylic glasses feature western decorative patterns, and baroque laser cut forms in flashy pop-art colors bring playful accents to two of the designers’ collections in the show.